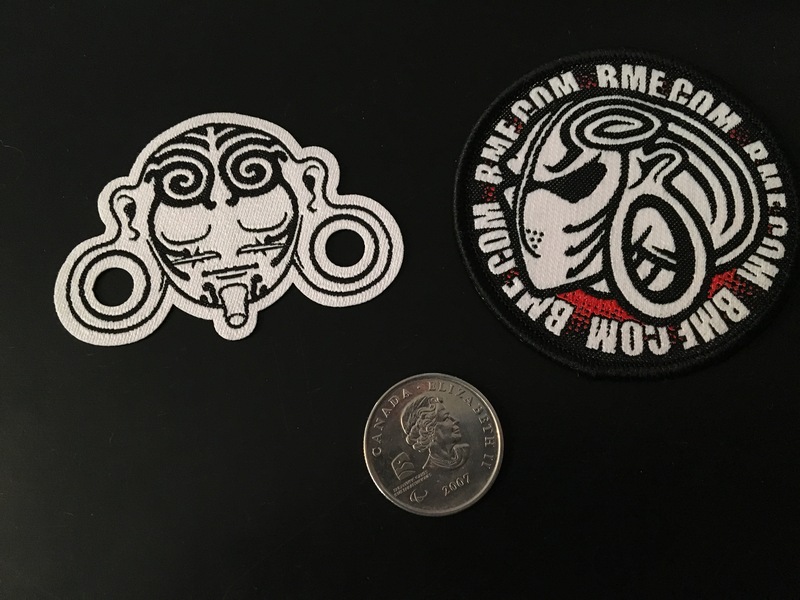 Hey everyone, did you know you can still get BME patches? Well you can! As you may be aware, Rachel’s home flooded in 2015 and lost all personal belongings along with all of BME Shop’s stock, BME’s computers, etc. These patches are being produced by a friend of her partner, David’s and all proceeds go directly back to BME to help us recover our losses. Not only will you be receiving awesome patches, but you’ll be helping BME! I took the photo below and included a quarter for size, these are perfect for bags or jackets. You can get your Calm Logo patch here. You can get your Hockey Logo patch here. This entry was posted in ModBlog and tagged BMEshop by Jen. Bookmark the permalink. Jen is BME's Girl Friday, managing customer support and whatever else has been thrown her way, since 2004.